Brand new custom home nestled in the woods of Mattapoisett. 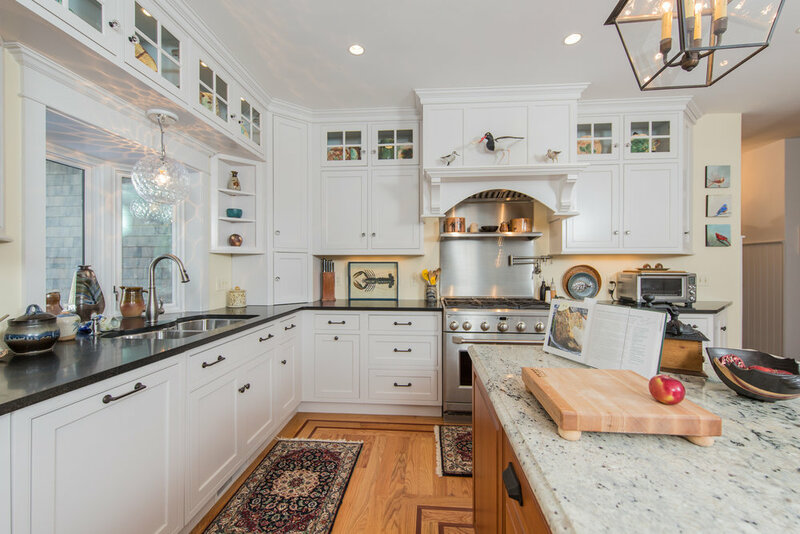 Custom cabinetry by Plain & Fancy installed by the extremely talented homeowner. 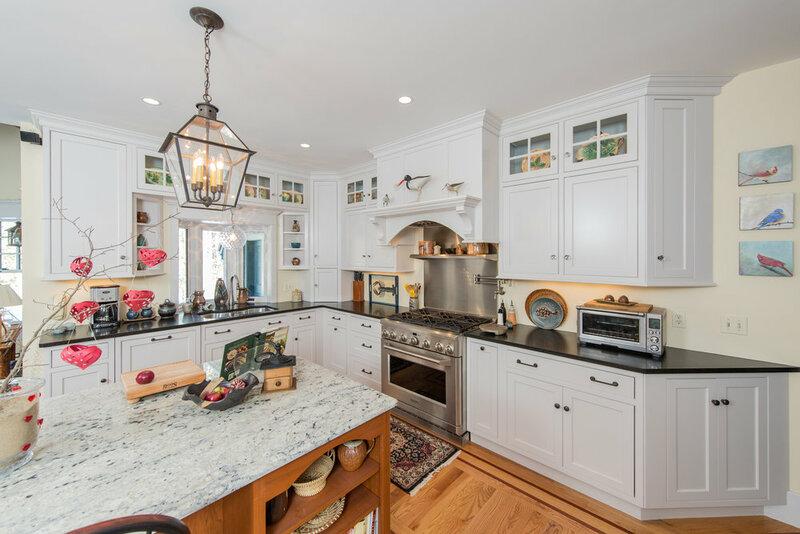 Our client decorated the kitchen with treasures from her travels over the years.